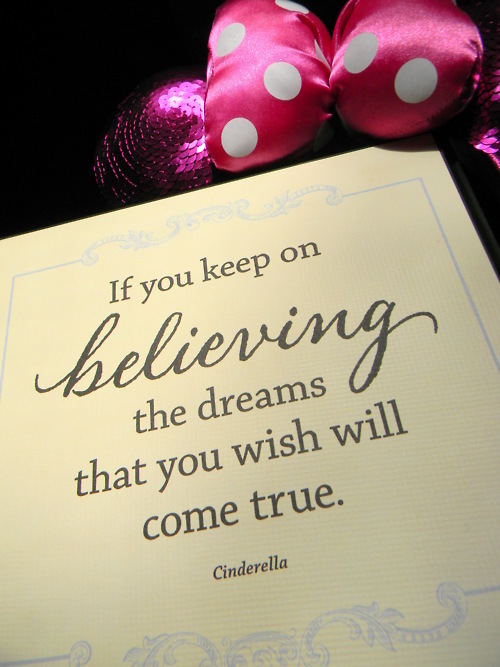 What you can learn from Disneyland! So, I thought after a fun trip in Disneyland last week that I would write about some of the fun things I learned from Disneyland!! “Hakuna Matata…it means no worries.” -Lion King This is a great lesson for our little family. We are in between jobs, but decided to put worry aside and head to Disneyland for our daughter’s birthday. You only have birthdays once a year, so we lived by the quote Hakuna Matata…no worries & we will always have our memories together in Disneyland for her sweet, one and only 10th birthday! “A whole new world, a new fantastic point of view.” -Aladdin I am looking at each day as a new adventure, not knowing where our little family will be, if we will have to move, if Kate will be able to handle change…each day is a new day, full of surprises. “The more you like yourself, the less you are like anyone else, which makes you UNIQUE” -Walt Disney My daughter reminds me of this daily. She has this amazing ability to shine…like children do. She is fearless and full of enthusiasm. While we were in Disneyland she wanted to stand out, be noticed, so she danced everywhere (she has done this since she was little in any theme park). On her birthday she was given two Disneyland birthday buttons, which she wore proudly (on her shirt & hat–so everyone could see them) and enjoyed everyone telling her “Happy Birthday.” While we were watching some street performers, they asked for some people to join in, my daughter jumped at the chance. She didn’t hesitate and walked out into the middle of probably fifty people and began to dance with the performers. No fear!! Proud to be who she is and happy to shine, like she was meant to!! “Happiness is a state of mind.” -Walt Disney I know we were happy enjoying ourselves on every little favorite, simple pleasure. We were happy eating our churros and Mickey ice creams every single day!! Our daughter was Happy waiting in 45 minute lines to see the princesses. My husband was Happy even though he was running between parks to get fast passes. After three days straight—I was Happy to find a quiet bench. You can find Happiness in everything! “What if it’s not everything that I dreamed it would be? What do I do then? You get to find a new dream.” -Tangled There is always a bit of struggle in any type of change—new job, new baby, new move, new relationship…but you do your best to make things how you imagined, and if it seems tainted or not how you envisioned, then you begin again to find something you can cherish, something you can learn from, something you can take with you into a new moment. There truly always is a silver lining in all things, you may just need to look a little closer to see it. “Laughter is timeless, imagination has no age, and dreams are forever.” -Walt Disney After walking around Disneyland for three days, there was no shortage of childlike adults sporting their sequined Minnie ears or pirate jack costumes. It is always fun to see families in the spirit of Disney with matching Disney shirts, little girls twirling about in their favorite princess dress and little boys fencing with their new plastic swords. Watching people makes you truly see the child within everyone and understand Walt’s sentiment that laughter truly is timeless and has no age limit. “It seems to me that we have a lot of story yet to tell.” Thank heavens for additional pages in our life story. We take for granted that we have another day, yet hopefully, we find a grateful heart for another page, a little more of our own story. I hope these thoughts will help you to make it a better day. That you will look at today a little differently and that your life will shine a little brighter. Thank you Walt Disney for creating a place where people can let go of worries, find a little magic and believe in dreams. You truly are a man of inspiration. Previous Big Hugs to YOU!